José Daniel Garcìa is an Associate Professor in Computer Architecture at the Computer Science and Engineering Department of University Carlos III of Madrid. 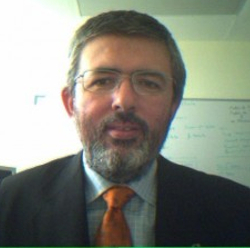 He has been serving as head of the Spanish delegation to ISO C++ standards committee since 2008. Before joining academia he worked as a software engineer in industrial projects in different domains including real time control systems, civil engineering, medical imaging, aerospace engineering, and high performance scientific computing. As a researcher, he works on parallel and distributed systems within the ARCOS research group. His work is within the research line of Programming Models for Applications Improvement (making faster and/or more energy efficient applications while balancing software maintenance). He has led the participation of UC3M in European projects, highly related to the use of parallelism in C++. His main research goal is to make software developer lives easier by balancing software maintainability and application performance. In summary easier to read, faster to run, and less resources consumed. He is also the chair of the successful using std::cpp conference in Spain that gathers every year around 180 Spanish C++ developers. He also teaches the Computer Architecture course in the Computer Science and Engineering Degree, as well as a course in High Performance Programming the the Masters in Computing Technologies for Finance.